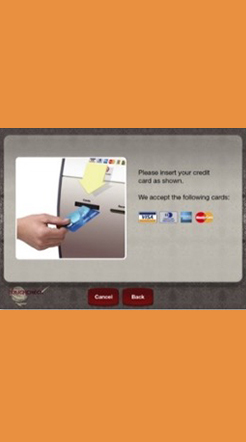 We have a fully integrated turnkey hotel self-service check-in module for the hotel industry. Offering guests a contemporary approach to efficient check-in and checkout from their accommodation venue catering for all aspects of a convenient self-service guest experience. 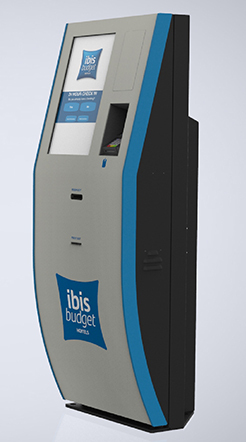 The solution includes walk-in and pre-booked reservations, hotel and room card cutting and encoding, breakfast ordering and EFTPOS payment capabilities. 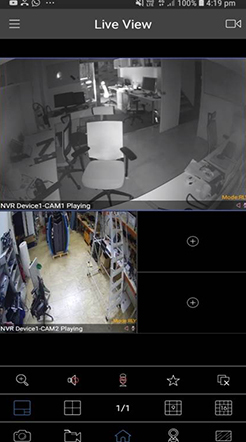 We can integrate video surveillance with 24/7 capabilities and 2 weeks local storage, retrievable online via our monitoring system. The solution comprises of a mini-sized stylish design allowing night vision, mobile accessibility and the ability to move the camera remotely. With outstanding image quality and reduced network bandwidth, having a wide angle view and easy installation make this a great choice to expand you sites security surveillance. 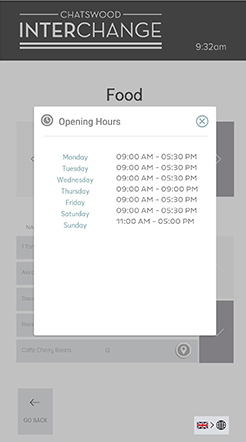 Individual store and location opening hours can be displayed for each location. Each tenant has the ability to modify their individual opening hours via the online content management system. This gives users greater knowledge of each locations availability regarding opening and closing times. This information can then be sent to the users phone. Users can review more information about each tenant by clicking on the information icon on their tenant listing. This information can include shop number, address, contact details, events, offers and a customised image to be displayed. This information can then be sent to the users phone if required. 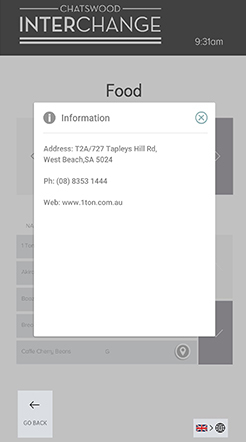 Your digital wayfinding solution can be easily managed via our intuitive online content management system at www.envention.com.au. This platform allows complete control, configuration and maintenance of all of the functional software modules available. Features include home screen dashboards, reporting, accounts and billing, support chat, technical specifications and contracts, notifications and software user manuals. 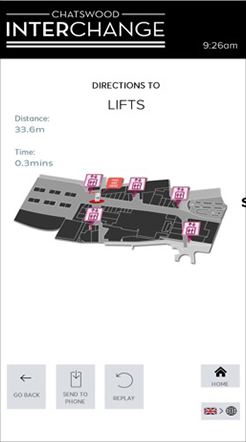 Users can access full analytical results via the online wayfinding content management system. 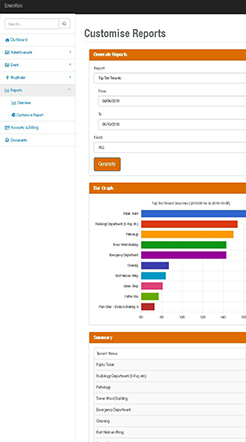 Reports include, most popular searches, all searches, surveys, events can be viewed via granular detail by kiosk, day and hourly. Custom statistics can be tailored to suit your business requirements. Full contact details can be entered into the application by users so that you can can send information to them via your desired social media channel. The type and volume of contact information to be gathered can be configured by you depending on your preferences. User access is considered across all of our software interfaces. There is generally an integrated ‘Lower Screen” button in each page that if pressed can lower the input fields for easy access for seated users. This enables a quick and easy access to all of the required usable input and interactive fields. The welcome screen or animated home page interface plays an attract loop that is designed to attract traffic to the directory. 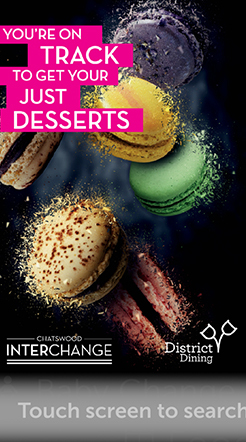 This main screen can be used to promote advertisements, events, products, services, branding or any media required. We give you the option for a full screen animation or footer animation to be displayed, depending on whether you have promotional material to schedule. Users can quickly see on the map how far and how long it will take them to arrive at their chosen destination. The application will highlight the time taken to travel to your destination by walking and display the actual distance in metres. 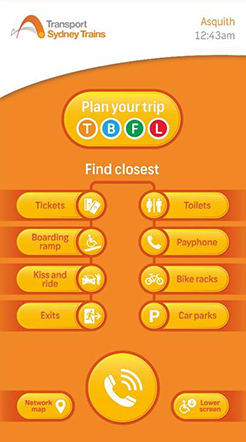 This information can also be sent to your phone along with the journey map. 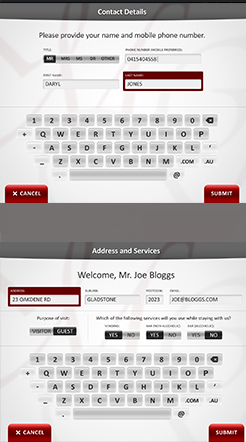 The client can add the survey and feedback module on the homescreen navigation page as required. Each set of survey questions and responses can be edited simply and easily via the online content management system via the administration website. 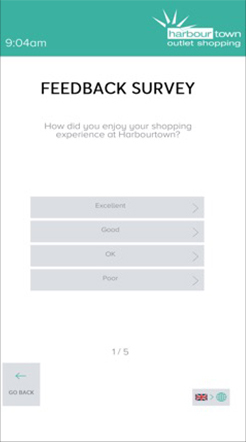 Users are prompted to engage with the surveys questions to provide great insight for the management, retailers and staff on how better to tailor their services to improve the customer experience. 360 or immersive video are film recordings where every direction is recorded simultaneously using multiple cameras. The finished films can be used on kiosks, desktops, smartphones or dedicated headsets. This provides the users with a greater empathy and sense of the environment than a static photograph. Please enquire about the applications for this technology. The system can locate your carpark by going through a series of related questions to pinpoint your origin. We can also display landmark icons at each entry point to assist users in navigating back to their point of entry from the carpark they entered from. Retailer logos are displayed at each exit to assist the user with memory retention, a path is then animated from the directory to the selected exit. 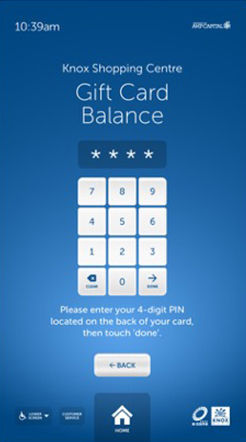 Envent can provide a range of different payment devices into the directory hardware. We can can capture and process payments via a number of different technology including credit card, magstripe or chip and PIN, contactless, EFTPOS devices, RFID and NFC to name a few. Let us know how we can assist you. 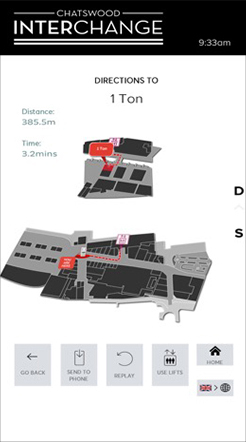 The Whats on and Events module is the cornerstone of any wayfinding platform. This gives visitors access to current site activities and events at the click of a button. A small “Fingernail” image is displayed, when clicked this features detailed information about the event. Integration to third party websites can be achieved to automatically upload any new events as they are scheduled. Tenant offers can be uploaded into the system to be displayed on the tenant listing. Offer description, period of offer and images can be featured for each redemption. 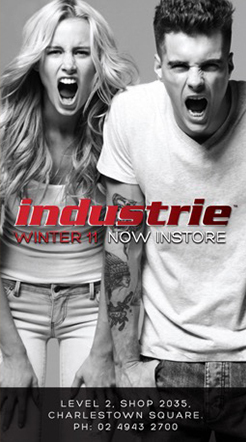 This is a great way for retailers to present another channel for their customers to engage with their businesses. 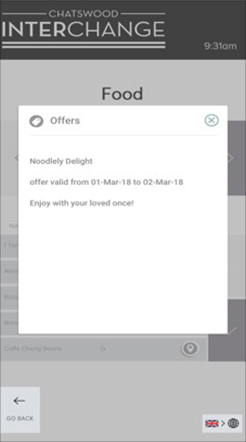 The users clicks on offer button to present offer onscreen, enter mobile to send offer link to phone, press link to download offer, take offer to retailer to redeem. Envention has a mature Advertising and Media Scheduling module that can be displayed across single or multiple screens. Content can be tailored to display the same content across an entire network or different content for each directory within a network. This is particularly useful where demographics differ from location to location. Campaigns and playlists can be easily created with multiple file types and forward scheduling ability. 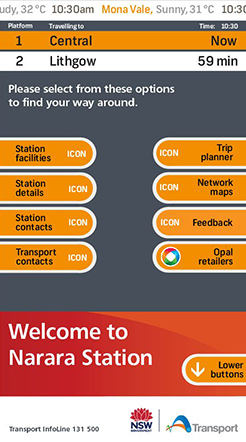 Users are able to send any selected journey to their smartphone via the wayfinder. A prompt is available on each map view to enter mobile phone number to send map to phone. The final image shows all maps traversed during the journey to the destination. 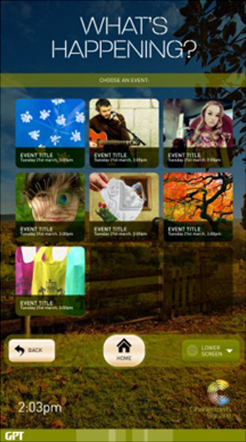 Other content can also be sent to the users phone including events, offers and tenant information. Users have a variety of options to search for their desired locations. 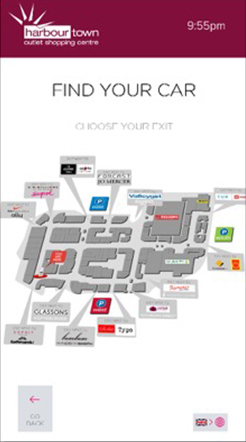 Users can peruse the various categories within each centre to peruse the various tenants or shops within this category. They can also by search by name either by letter or predictively. 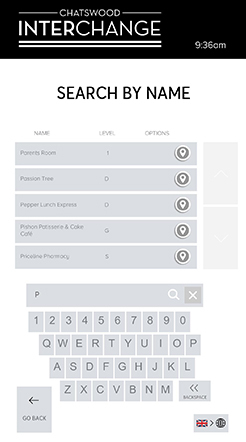 The user can click on the search by name button, they can then either click on the first letter of the destination or type in the name of destination. The locations are listed alphabetically from the top down in a list view. 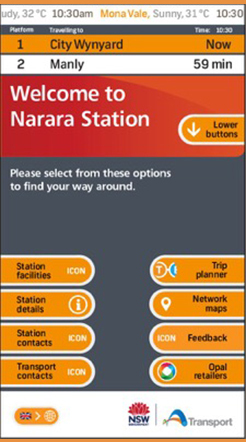 Each selected destination will take the user to a map view whereby an animated path is displayed from the directory to the selected destination, this may be over a single or multiple levels. This illustrates a flashing travel path from where you are standing at the Directory to your chosen destination. 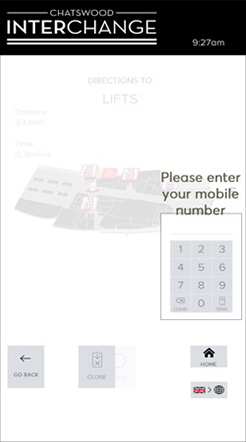 The user has the option to replay the journey or select to travel via the lift, escalator or stairs depending on their preference. 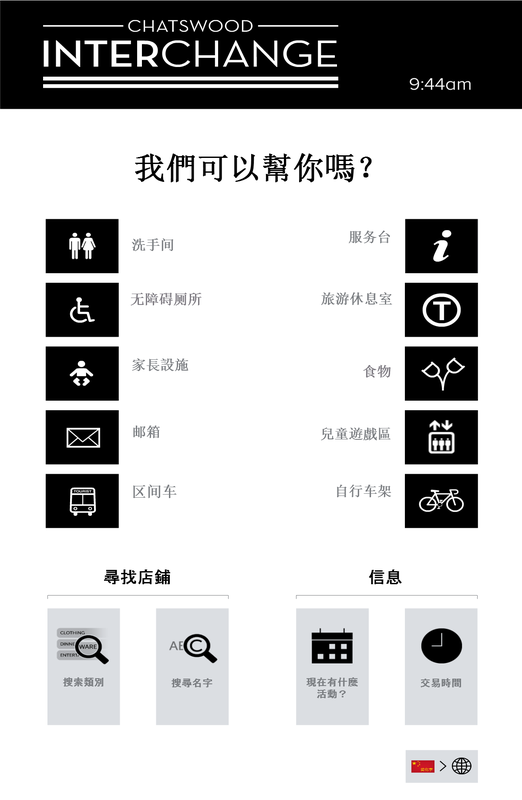 Having a multilingual feature is essential in any comprehensive wayfinding platform. Envent has a dedicated internationalisation module that can provide various language options to the interface depending on the clients requirements. This feature provides a quick and easy translation of all nominated buttons and headings within the application. We can integrate a customer service button into any application that can provide a direct link to centre or management staff or support personnel. By touching the “Call Customer Service” icon the user automatically be directed to the concierge or help desk for further assistance, in fact any phone number can be programmed into the system. Additionally, the user can speak with help desk or tenant directly. The call is ended by pressing “Hang up” or simply leave and it will time out after 30 seconds and hang up automatically.